General Xiao Ke, who died last month in Beijing at aged 101, was the last surviving commander of the Chinese Red Army that made the legendary Long March. Only 27 when he led his troops out of their Communist base in south China, Xiao never reached the career heights promised by his youth and ability. Instead, his later life became notable for a commitment to principle that put him at odds with political reality. Xiao Ke was born in Hunan Province to a scholarly family that had fallen on hard times. Three of his eight brothers and sisters died in infancy, yet by rural Chinese standards the Xiao family was still relatively well off. They possessed a small landholding that in the early 1920s was regularly raided by warlord soldiers and local militia – during this era, Chinese armed forces of all descriptions commonly supported themselves by looting. In his memoirs, Xiao recalled that his brother and cousin blamed at least some of this thievery on men who worked for a powerful local landlord, with whom they began a bitter dispute. In 1923, wrote Xiao, his brother and cousin were tricked into visiting this landlord’s estate, where they were seized and taken to the county government for summary execution. The persecution of his family encouraged the young Xiao Ke to think about a military career. With soldiers at his command, he could punish the guilty and protect his own. He was further inspired by the example of another brother, who moved to Guangzhou in 1925 to enter military school. The following year, Xiao also moved to Guangzhou, where he studied for four months at the Central Military Committee Military Police Academy. After graduation, he entered the Guomindang’s National Revolutionary Army, taking part in the Northern Expedition that began in July 1926. The Northern Expedition’s aim was to defeat the warlords of central, eastern and northern China and unite the country under Guomindang rule. Xiao Ke, however, fell under the influence of Communist officers in his regiment, which was led by the Communist Ye Ting. Xiao was already losing faith in Guomindang leader Chiang Kai-shek; this disillusionment was confirmed by Chiang’s massacre of Communists in Shanghai in April 1927. 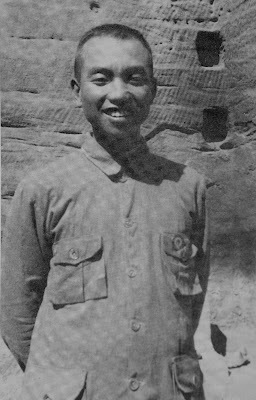 Xiao Ke joined the Party in June 1927. One month later, his regiment was on its way to Nanchang, capital of Jiangxi Province. 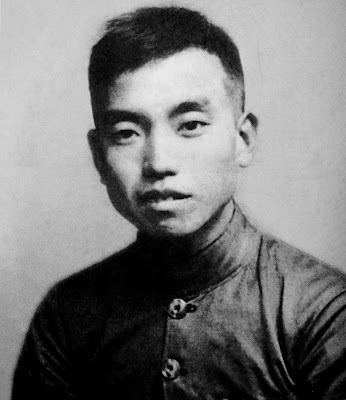 Ye Ting had committed his men to participating in the Communists’ first armed revolt on August 1. The uprising was a disaster. Although the Communists took control of the city easily, they lacked the means to hold onto it. After four days, the 20,000-strong rebel army marched south, aiming to establish a revolutionary base in Guangdong Province. But while the Communists had plenty of officers, they had few adherents among the rank and file. Within a fortnight, more than half the soldiers had deserted. On October 3, the remainder were scattered in battle. Xiao Ke was captured and imprisoned shortly afterwards. Under interrogation, Xiao denied being a Communist and he was released after a few days. He returned home, where he was reunited with his brother and discovered that the elder Xiao had also joined the Party and been a soldier in the Northern Expedition. Not knowing where else to turn, the brothers decided to re-start the revolution themselves. Having organized the few local Communists into a Party cell, they soon learned that a Communist army under Zhu De was inciting revolt around the southern Hunan town of Yizhang. This army was the sole fighting force to remain intact after the Nanchang Uprising. Around Spring Festival 1928, Xiao Ke and his comrades resolved to find and join Zhu De, the future commander-in-chief of the Red Army. Instead, they met a group of Communist peasant rebels in Qishi, close to Yizhang, whose leader Peng Xi had been appointed by Zhu De. They formed an “Independent Armed Peasant Battalion,” with Peng Xi as commander and Xiao Ke as his deputy. From around one hundred men, this unit quickly swelled to more than six hundred, but it also came under severe pressure from enemy troops. Learning that another Communist force under Mao Zedong was nearby, Xiao Ke and his peasant army crossed the intervening mountain range and in April 1928 united with Mao’s “Red Army” at Longxidong. Mao had temporarily left his base in Jinggangshan in Jiangxi in order to aid Zhu De, whose army was in trouble. 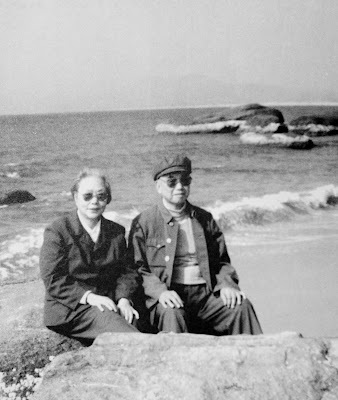 Having repelled the enemy, Mao and Zhu De retreated together to Jinggangshan. Xiao Ke and his men went with them. In May, the combined Communist forces were grouped into the Fourth Workers’ and Peasants’ Revolutionary Army, soon afterwards rechristened the Fourth Red Army. Xiao Ke became a company commander in the 29th Regiment. In Jinggangshan, Xiao Ke revealed one of his lifelong talents: that of choosing the wrong side. Party propaganda tells of unity and the creation of the “Zhu-Mao Army,” the vanguard force of the Chinese revolution. In fact, Mao and Zhu De quickly fell out. Particular difficulty arose over Mao’s view of the Red Army. Mao was adamant that the army should serve the Communist Party - “the Party should control the gun,” as Mao put it. Zhu De disagreed, believing that in military matters, the views of military men should take precedence over those of politicians. The 21-year-old Xiao Ke took Zhu De’s side. But Mao’s view prevailed: first and foremost, the Red Army would be the Party’s army. More than sixty years later, Xiao Ke would once again take the losing side in a similar debate, this time with Deng Xiaoping over the army’s role in dealing with the Tian’anmen Square demonstrations. There was little time to dwell on such disputes in 1928. The Communists were quickly forced out of Jinggangshan, from where they moved into the area around Ruijin, a small town in southern Jiangxi. Here, they established a base that survived repeated attack by Chiang Kai-shek in the early 1930s. Xiao rose swiftly through the ranks, becoming commander of the Red Sixth Army Group. In July 1934, Xiao received orders to take his troops out of the Communist base area and move west. The Long March was about to begin. Under intense pressure from Chiang Kai-shek’s Guomindang forces, the entire Red Army and Communist Party leadership was to abandon the base in southern Jiangxi and transfer to a new, safer location. Xiao Ke’s task was to identify that location. He failed. After being harried through Jiangxi, Guangxi and Hunan, the 6th Army was almost destroyed at Ganxi in northeast Guizhou Province. On October 7, 1934, they were trapped by a three-pronged attack that wiped out around two thirds of the 9,000-strong army. Xiao himself escaped thanks to a local hunter named Liu Guangrong, who guided Xiao and several other officers up the heavily forested mountain above Ganxi. The battle was hardly mentioned in post-Revolutionary histories of the Long March, but in later years Xiao hung a large painting of Ganxi in his home, a permanent reminder of the place where up to 6,000 of his men died. Shortly after Ganxi, what was left of the Sixth Army met another small Communist army led by He Long, future Marshal of the People’s Republic of China. In its ranks was a 19-year-old woman named Jian Xianfo; she and Xiao Ke married in December 1934, a union broken only by Xiao’s death. The two armies joined forces and established a base in northwest Hunan, before making their own 5,500-kilometer Long March to northwest China between November 1935 and October 1936, arriving twelve months after the main force under Mao Zedong. Already pregnant when the march began, Jian Xianfo gave birth to a boy in the Tibetan grasslands of northwest Sichuan Province. The child finished the Long March, but was later sent to live with his grandmother near Changde in Hunan. He is thought to have died in the Japanese germ attack on Changde in 1941. Xiao’s political acumen failed him once again during the Long March. In June, his and He Long’s forces united with the Red Fourth Front Army, led by Mao’s greatest rival, Zhang Guotao. Zhang had split from Mao the previous year and established a rival “Party Centre” with himself as leader. His Fourth Front Army was by far the largest of the Communist forces; if he could persuade He Long and Xiao Ke to support him, he seems to have believed he could march to Mao’s new base in the northwest and take full control of the Communist Party. He Long was unequivocal. He is said to have publicly threatened to shoot Zhang if he did not toe the Party line. Xiao Ke, however, was swayed. The details of what passed between him and Zhang Guotao remain obscure. Xiao wrote nothing about it; in his own memoirs, written in exile, Zhang glossed over their meeting, knowing that candor could cost Xiao his life – Zhang’s political commissar, Chen Changhao, is said to have committed suicide in 1967 after being attacked as “Zhang Guotao’s running dog.” But it was accepted in the Party that Xiao had supported Zhang, who appointed him commander of the Fourth Front Army’s 31st Division. And Mao had a long, long memory for those who had slighted or opposed him – as Xiao had now done twice over. After failing in his struggle with Mao, Zhang Guotao abandoned the Communist Party in 1938 and handed himself over to Chiang Kai-shek. As past relationships with Zhang proved a death sentence for many, Xiao Ke could be said to have fared well. After the Long March, his career merely stalled. He was sent to the front line in the Anti-Japanese War as deputy commander of the 120th Regiment, led by He Long. This was a typical Maoist manoeuvre: Mao knew Xiao and He Long had a poor relationship, despite (or more likely because of) their years of close cooperation. Xiao ended the civil war in 1949 as Chief of Staff to the Fourth Field Army led by Lin Biao, one year his junior and a still more precocious talent – as well as a supporter of Chairman Mao in Jinggangshan in 1928. After the establishment of Communist power in Beijing, Xiao was assigned to the Military Academy in Beijing, a backwater for those who did not want or were not allowed to pursue an active military or political role. 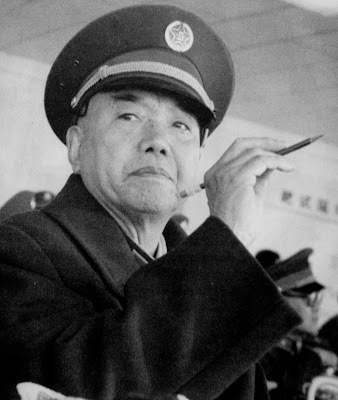 When military ranks were established in the People’s Liberation Army in 1955, he was listed first among the 55 generals (previously, there had been no formal distinction between officers and enlisted men). Above him, however, were a number of senior generals and marshals who, many felt, lacked his background and abilities. This was taken as a deliberate slight by Chairman Mao, but it was a minor blow compared to what was around the corner. Just two months after the verdict on Xiao Ke, Peng Dehuai himself was struck down for “opposing Chairman Mao” and conducting “anti-Party activity.” Years later during the Cultural Revolution, Peng sent his nephew to apologize on his behalf to Xiao and the others persecuted in 1958. Xiao wrote in his memoirs that he had, in fact, long since stopped being angry with Peng because, “through the experience of the Cultural Revolution, I had acquired a greater understanding of internal Party struggle.” In other words, he didn’t blame Peng because he felt Peng’s actions were dictated by the political context of the time – a context set by just one man, Chairman Mao. In 1972, Xiao’s fortunes began to improve. Back in Beijing, he was restored to a senior position in the Military Academy and appointed deputy Minister for Defense, a less elevated position than the title suggests as the Ministry’s most important responsibilities had been transferred to other departments after Peng Dehuai’s fall. After Mao’s death and the end of the Cultural Revolution, the verdict on Xiao’s “bourgeois military line and anti-Party activity” was overturned. He was appointed in 1980 as a vice chairman of the Fifth National Political Consultative Committee, and from 1982 sat on the Central Consultative Committee, a highly influential body composed exclusively of Party members with at least 50 years of service behind them. The events of 1989 shook Xiao and many of his old comrades in the Central Consultative Committee. As the crisis over the Tiananmen Square demonstrations intensified, Deng Xiaoping decided to call the army into Beijing. Xiao Ke adamantly opposed this move. Together with former Minister of Defense Zhang Aiping, another veteran of the Long March, he composed a letter to Deng, which was signed by five other generals. They told Deng that if the army entered the city and opened fire, “the common people will curse us for 10,000 years.” Inspired by this example, more than one hundred other retired generals and Party leaders, mostly also members of the Central Consultative Committee, signed and sent a similar letter. Gravely concerned at such opposition, Deng dispatched two of his most senior supporters, Yang Shangkun and Wang Zhen (political commissar to Xiao Ke’s Sixth Army Group during the Long March) to see Xiao Ke and the other six original signatories. They demanded retraction of the letter, arguing that such influential men could not be seen to oppose the Party leadership. None of them retracted, but their call went unheeded. After the Tiananmen massacre, Deng dealt with his high-ranking opponents by trying to eliminate their political influence. As most of them were already retired, Deng contented himself with denying them official resources and forums to express their opinions. The Central Consultative Committee was abolished in 1992. Xiao Ke spent the final years of his life in No.301 Hospital in Beijing, which he entered in April 1999. He is survived by his wife, Jian Xianfo, and son, Xiao Xinghua. Xiao Ke, revolutionary, born July 14 1907, died October 24 2008. Ed Jocelyn holds a Ph.D in history from the University of Bradford in the UK. In 2002 Jocelyn launched the New Long March project with Andrew McEwen. Together, they set out to retrace the Long March of the Chinese Workers’ and Peasants’ Red Army, on foot. In the following five years, Jocelyn trekked 8,000 miles through remote parts of China. The story is told in The Long March, published in five languages in 2006-7. Jocelyn's current research explores the history of the revolutionary era in Kham, focusing particularly on the Tibetan rebellion in Zhongdian, and he also runs the Red Rock Trek and Expedition Company with fellow adventurer Yang Xiao. Is the author contactable by any means? I am doing doctoral research on what might be a similar topic to Ed's current research. I recommend you contact Ed via Red Rock Travel (the link is in the bio at the end of the story). End of an era. very nice post indeed. Interesting. My comments can appear in the China Beat, but not my criticism (targetted at a different post). We regularly post criticisms and critical discussions of posts at China Beat (see, for instance, the recent comments on the piece on Taiwan), but we hope that all comments at China Beat will contribute to a respectful dialogue. We sometimes choose not to publish comments that don't meet that standard. Interesting. In which way did my comment not meet the standard? And can you disclose the standard? Did I use profanity? Did I engage in personal attacks? If such a mild criticism (comparing a post/work to journalism) is what you think broke the standard, then I have to say even People's Daily is more tolerant of criticism than this web site. A Better Life in New Shanghai?